On January 9, 2013, I will leave Jacksonville, Florida, for Atlanta, Georgia, where I will connect with a flight for London’s Heathrow airport. Leaving Jacksonville at 2:30 p.m. on the 9th and arriving in London at 7:05 a.m on the 10th. 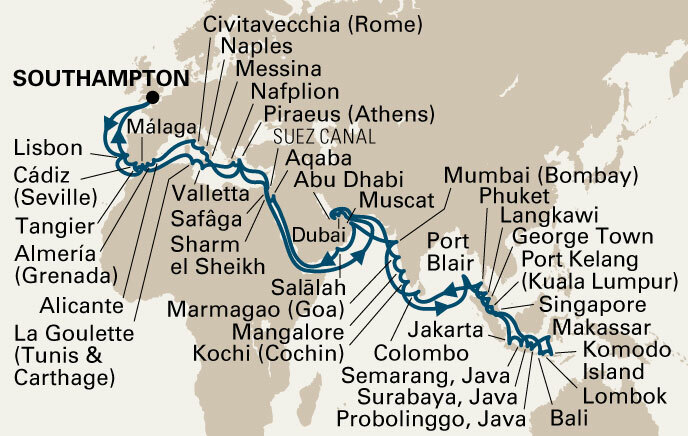 From there I will travel to Southampton where I will board the ms Rotterdam. I hope you will come along with me on this fantastic journey!